Real estate businessman W.M. Killingsworth platted the Walnut Park addition to Portland in 1905. 80 acres were divided into 400 lots and deeds stated only residential buildings would be built. He built this fine home for himself facing N Alberta Street between N Vancouver and Commercial Avenues, and extended north past Sumner Street. Thanks to VP fan Roxanne for suggesting this image. 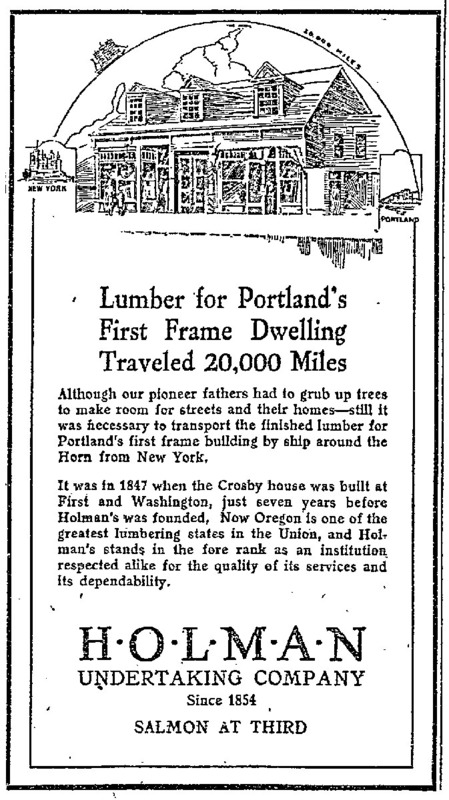 Using Oregon’s great lumber industry as an advertising tie-in, the 68-year old Holman Undertaking Company was using a 75-year old historic Portland home in its advertising. The Old Crosby House is long gone but the Holman Funeral Service is still in business, now on SE Hawthorne. 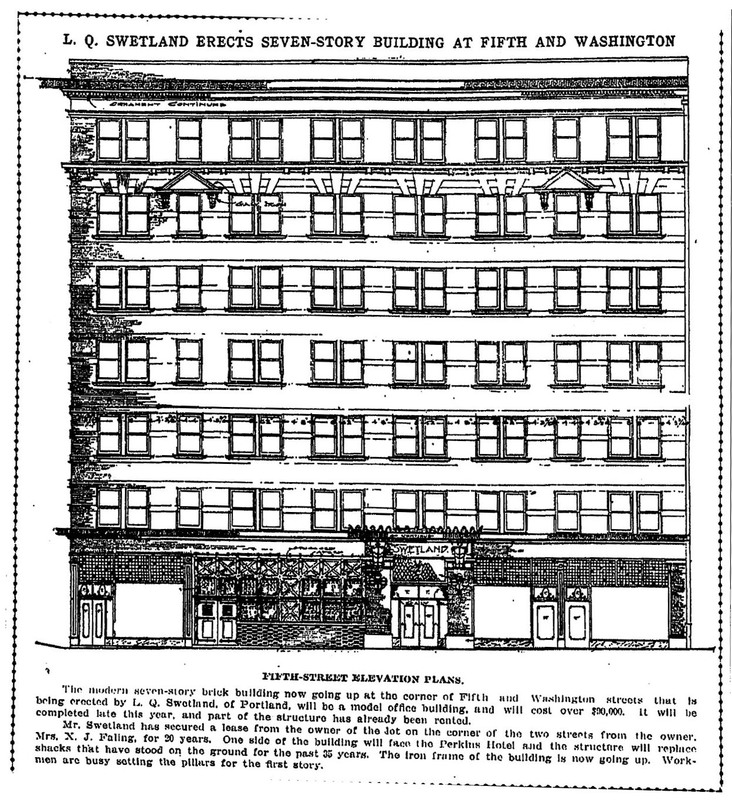 The steel frame of the Swetland Building was just going up when this nice illustration of the finished project was printed in The Oregonian, August 5, 1096. 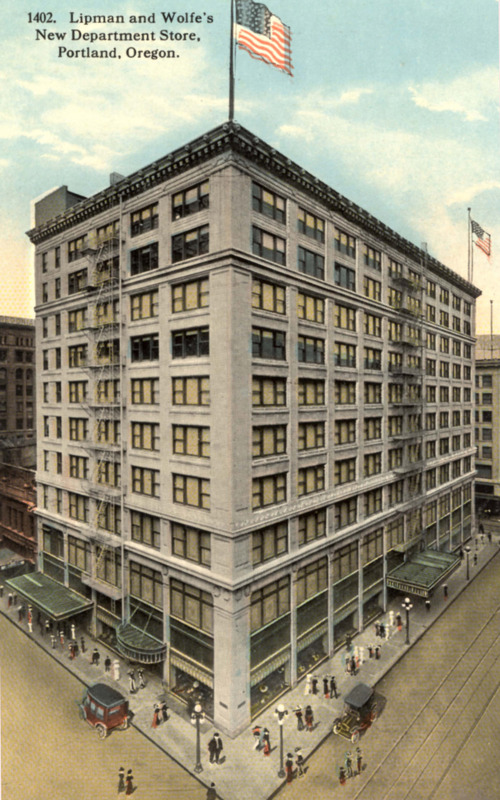 The building is still a beauty on the southeast corner of SW 5th and Washington downtown. Directly north of the Henry L. Corbett property from yesterday’s post was the Elliot R. Corbett house at 243 W. Park (now 1119 SW Park). The two brothers’ properties shared the block bounded by SW Park and 10th, Main and Madison Streets. 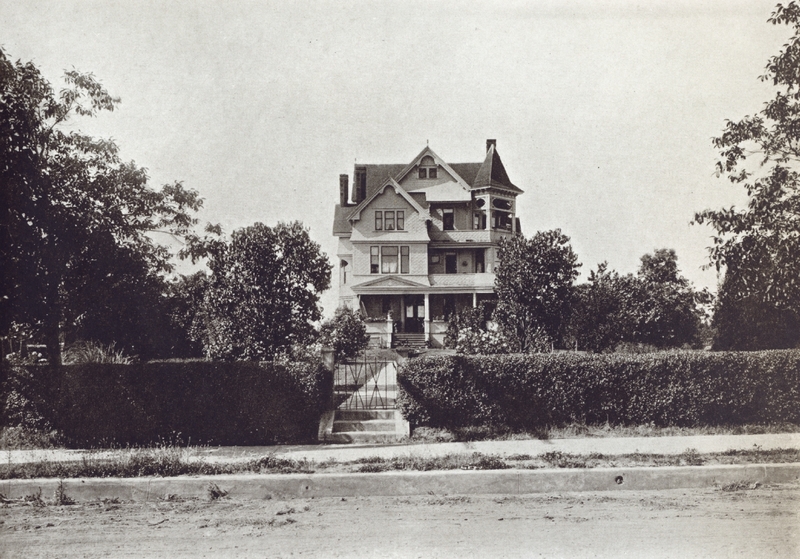 Both would build homes in the Dunthorpe area around 1915 and the Masonic Temple building would replace these two homes. 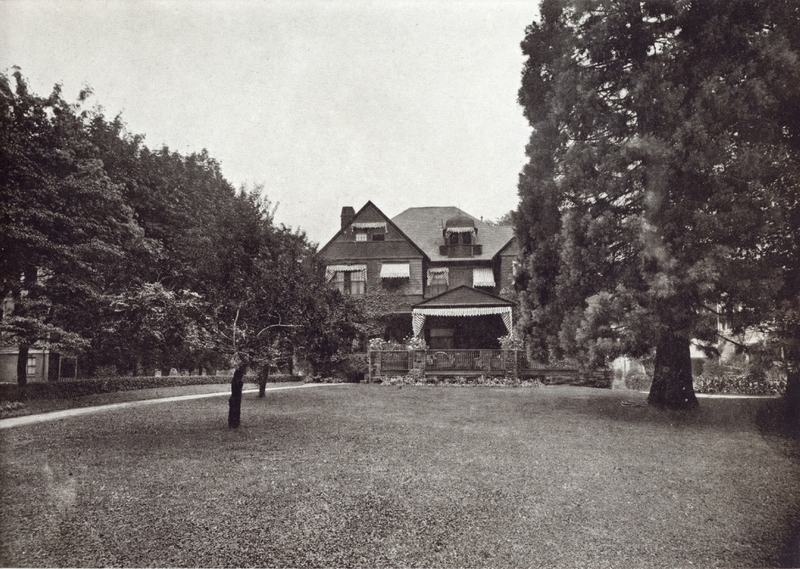 Henry Ladd Corbett built this fine house at 253 W. Park (old address numbering system). The property covered the entire south half of the block between SW Park and 10th, Main and Madison Streets (this view looks west from Park). The 1925 Mark Building (formerly Masonic Temple) now covers the site. 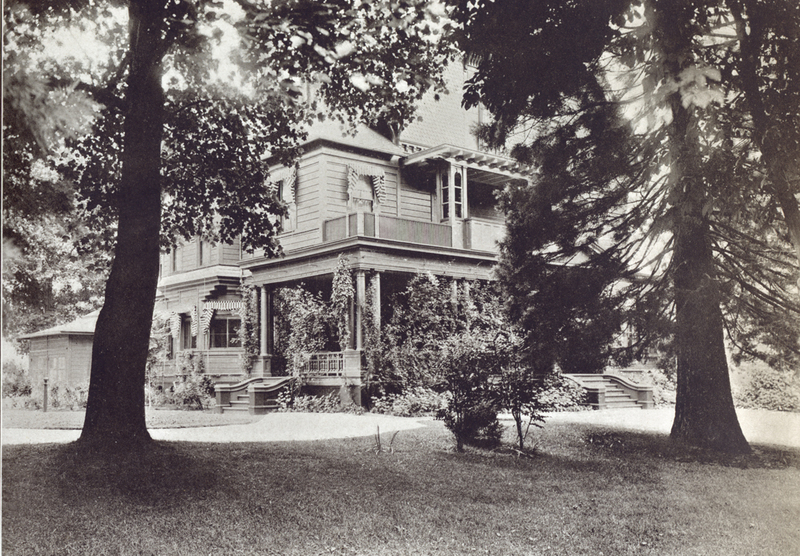 This home was just a few blocks from grandfather Henry Winslow Corbett’s home (see yesterday’s post). This appears to be an artists depiction of a proposed extention of SW 6th Avenue, with an undercrossing under 4th Avenue, connecting to Arthur Street. 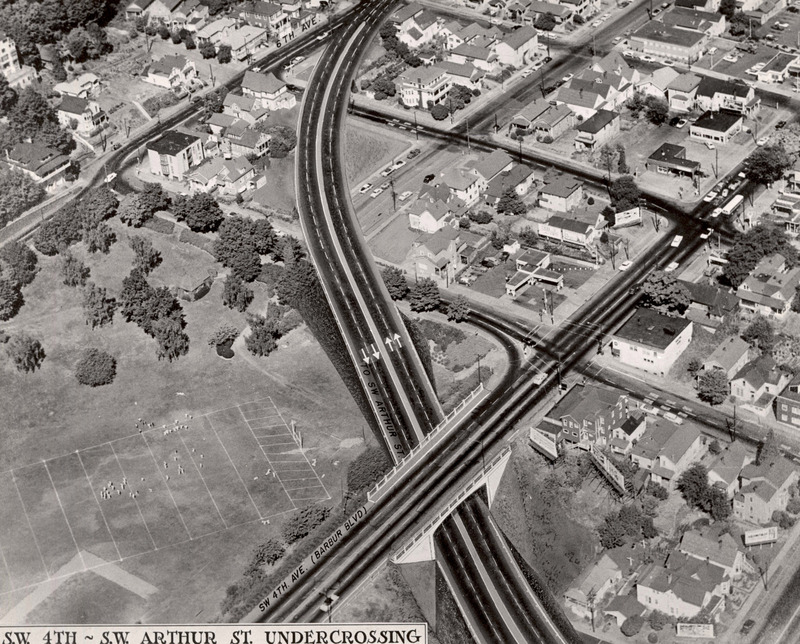 This scheme never materialized, but a few years later I-405 would cut across the upper right portion of this area. Duniway Park is at lower left. Here is a similar view from the same year, but without as much detail. Lipman & Wolfe department store displayed its new store in this 1912 postcard. It covered the half-block on SW 5th between Alder and Washington. In this building, Lipman & Wolfe eventually became Lipman’s, then Frederick & Nelson. In the 1990s the building was refurbished as a hotel, first branded Fifth Avenue Suites, and now Hotel Monaco.